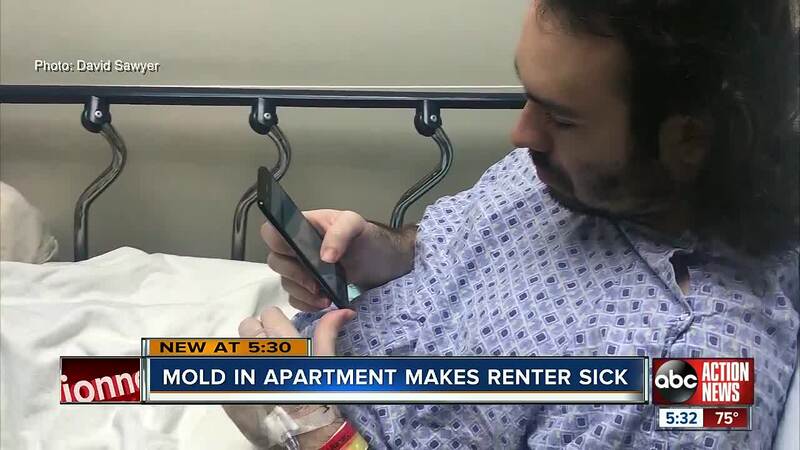 ST. PETERSBURG, Fla. — As excited as tenant David Sawyer and his roommates were in moving into a Saint Petersburg rental home last summer, their air conditioner unit suddenly stopped working. "We immediately contacted them. They took a week to kind of get back and it was the middle of July so the house was getting to one hundred plus degrees,” Sawyer said. Invitation Homes, the property management company, eventually fixed the AC and plumbing problems that Sawyer says pushed raw sewage up into his shower. But soon after, Sawyer says he got sick. "I had massive headaches. I had constant drainage from my nose, nose bleeds," he said. "I was going through a box a day of tissues." A private inspector that Sawyer hired documented toxic black mold in his bathroom and urged him to leave their home on 74th Avenue Northeast immediately. He says he contacted Invitation Homes repeatedly but it stalled on a proper mold remediation. "It was a solid 20 days where we just didn't hear from anyone and we just decided to pack up and leave,” Sawyer said. Now Sawyer is recovering from sinus surgery after a fungal infection his attorney says was caused by the toxic mold. "I worry that someone else would move in there. I also have worry that there are other people living with the same problem. 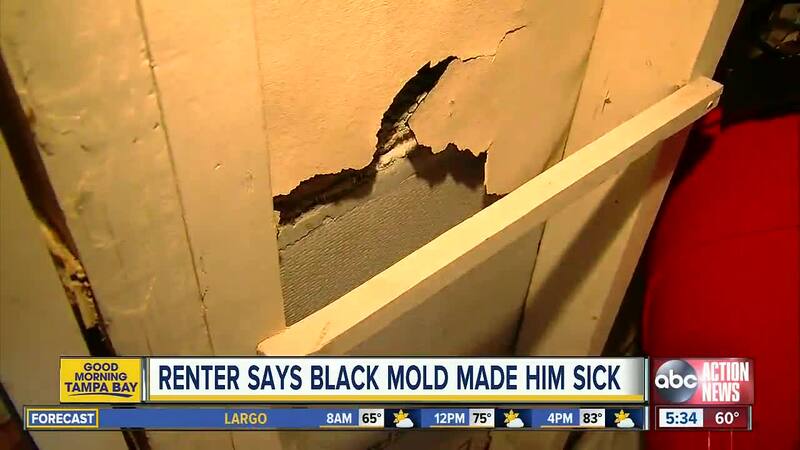 There are some people that react to black mold differently that others. Some people it takes longer and they don't know why they're sick,” said civil attorney T.J. Grimaldi of Tampa. Invitation Homes merged with Waypoint Homes in November 2017. The large company now owns thousands of homes nationwide and as many as 4,800 here in Tampa Bay. Numerous complaints documented by ABC Action News expose similar stories of tenants with continual problems not quickly solved. "Good communication and honesty and owning up to things would have just gone such a long way,” Sawyer said. We found Sawyer's former rental home empty on 74th avenue NE with a "For Lease" sign in the front yard. "You report it. They're sympathetic. But nothing ever gets done,” Sawyer said. To learn what makes mold grow and how to prevent it, click here.